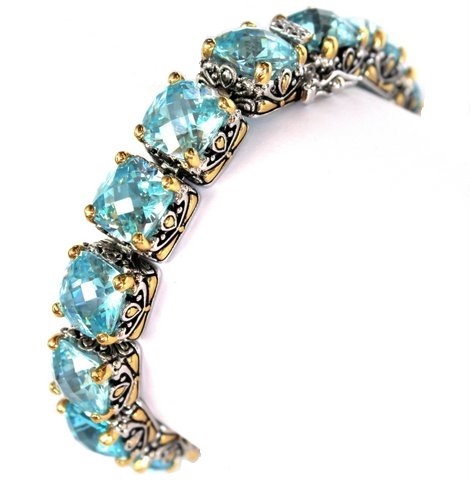 Gorgeous two tone plating over brass tennis bracelet with elaborate cubic zirconias in aqua blue checker cut. Length is 7 1/4" and 3/8" wide." 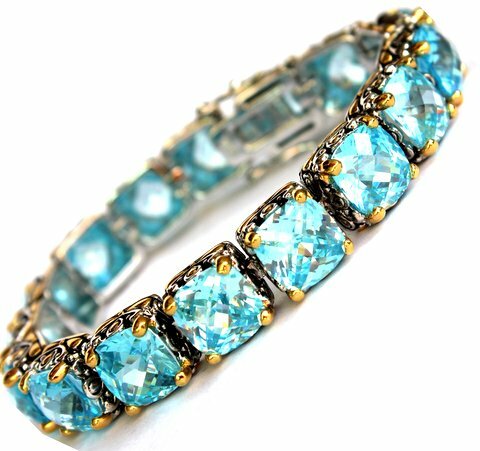 This gorgeous aqua blue is a glimmering cubic zirconia with a checker cut front in a 15mm size. The surround is an ornate two tone finish. The bale opens to put on your favorite circle necklace or chain. The back of the pendant features multiple heart cut outs and is stamped BFA on the bale.